Joan first move the the Yampa Valley with her husband Jim Linville in 1980. She loves the natural beauty and lifestyle of the valley but has stayed because of the friendly and caring people. She has been involved with Friends of the Yampa, Routt County Search and Rescue, and Steamboat Dance Theatre where she was an active dancer for 25 yrs and served as president and board member for 5 yrs. She has volunteered with the National Park Service in Dinosaur National Monument for the past 10 years, organizing a group of weed warriors to eradicate the Tamarisk bush (an invasive species) from the Yampa and Lodore Canyons. 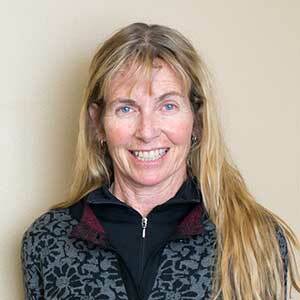 Joan enjoys backcountry and nordic skiing, mtn and road biking, hiking, and running as well as river trips. She graduated from the University of Colorado Physician Assistant program in 1996 and has worked in the specialty of orthopaedics ever since. She is board certified with NCCPA. Answering clinical questions, postoperative questions, and medication concerns. Will be calling after your surgery generally the next day to help with questions and concerns. Assists in Dr. Bomberg’s office procedures. Laurel is our current office manager and nurse. 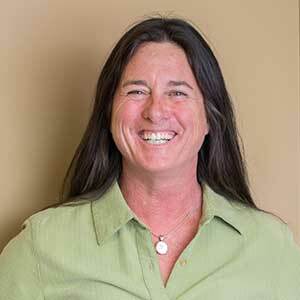 She can assist you with questions about your condition, surgery or postoperative concerns. She will often be checking in on you postoperative to see that things are going smoothly. Assists with scheduling appointments, MRI follow-up appointments, and insurance approval. Includes appointments for all of my offices. Surgical scheduling for the Steamboat office, Yampa Valley Medical Center and Middle Park Medical Center Granby. She will also assist in insurance approval for procedures surgical, office, and diagnostic imaging. Able to handle your billing concerns and questions. Includes appointments for all of my offices. She will also assist in insurance approval for procedures surgical, office, and diagnostic imaging.